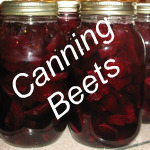 Home canning vegetables and fruit is a great way to preserve your food. 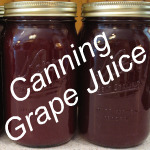 Be sure to visit our Home Canning Store and I'll show you the canning equipment I use. I only buy one new piece of canning each year. It's easier on the pocketbook. 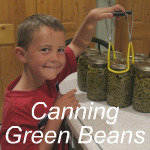 Click on the links on the right-hand side of this page to learn how to use your canning equipment. Click on the pictures to learn how to can. . .
Make sure to Earthquake Proof your food storage room, so that your glass bottles don't break. Do you have a canning question? 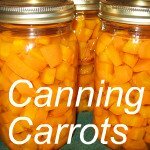 Ask your home canning questions here. We'll see what we can do to answer them. Also, if you have a great idea or canning tip that would help someone else, post it here. Thanks! can I double stack by pint size jars of green beans to pressure can them and if so, how much water. Hello, I purchased from the cannery : apple sauce, chicken chunks, and salsa they all have expired should they all be tossed? How Do I can pears? Can I double stack pint jars? I have old tall pressure cooker? My first time canning. All my jars have sealed. Do I need yo refrigerate the jars? 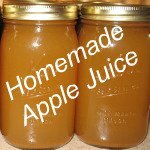 Apple Cider Can a home juicer be used for making apple cider? I would like to make a small amount. Like a quart. Can you can beets without a pressure cooker? The answer is No. Beets are a low acid food. You must use a pressure cooker. I am looking for a good recipe for cantaloupe butter. Does anyone have one? I would like to know what the shelf life of home pressure canned Idaho potatoes in chicken broth would be. 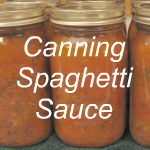 Do you have a recipe for canning enchilada sauce? - No, I don't. If anyone has a great recipe for enchilada sauce, will you share it with us. 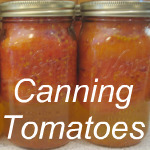 Canning is becoming a lost art but is a part of provident living. I’m taking you with me this summer as I work with my family in preserving food from our garden. I’ll lead you through a step-by-step process with detailed instructions and pictures to show you what to do as you learn how to can. 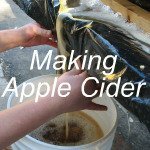 You'll also want to check out freezing, dehydrating, and using root cellars to preserve your food. Canning vegetables and fruit might look like a gigantic undertaking, but taking one step at a time it’s easy. Bookmark this page now. Come back often to get help as you learn the basics of preserving food. Canning has may benefits. Here are a few. If you’ve haven’t canned your own produce, you’re in for a treat. Spoil your family with fresh, canned fruits and vegetables. They won’t want to go back to the stuff you buy in the store. You’ll also save a ton of money. “Waste not, want not”. When the garden starts producing, you’ll have more than you can eat. So can the extra food. If the electricity goes out, your food is still good. Canned vegetables and fruit can last many years on the shelf. There will be NO added preservatives in your canned food unless you put them in. You know exactly what’s going into your food. One more benefit of home canned food! Home grown or locally grown produce is more nutritious than food you buy in the store. The soil on most commercial farms has been depleted of the essential nutrients that your body needs. Your soil is the best place to grow your food. 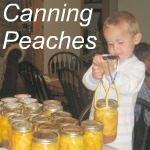 Pass on the tradition and art of canning to your children. This is where children get excited about gardening. They love to see and eat the fruits of their labors. 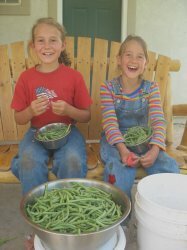 You spend quality and quantity time with your children as you sit on the porch snipping beans, shucking corn, shelling peas, etc. Being self-sufficient gives you peace of mind. You don’t have to rely on the grocery store for food. Self-sufficiency is an important part of provident living.